Car Rapides are the main system of public transportation in Dakar and other cities in Senegal. Colored yellow, white and blue, they are decorated with hand-painted fruit and leaves or horses and eyes. The words "Transport Commun" often appear on the sides with "alhamdulilahi" (Thanks be to God) above the front window. After waving them down, riders enter through the back door paying an apprentice the cent franc (twenty cent) fare. Passengers tap on the roof to alert the driver to their stop. 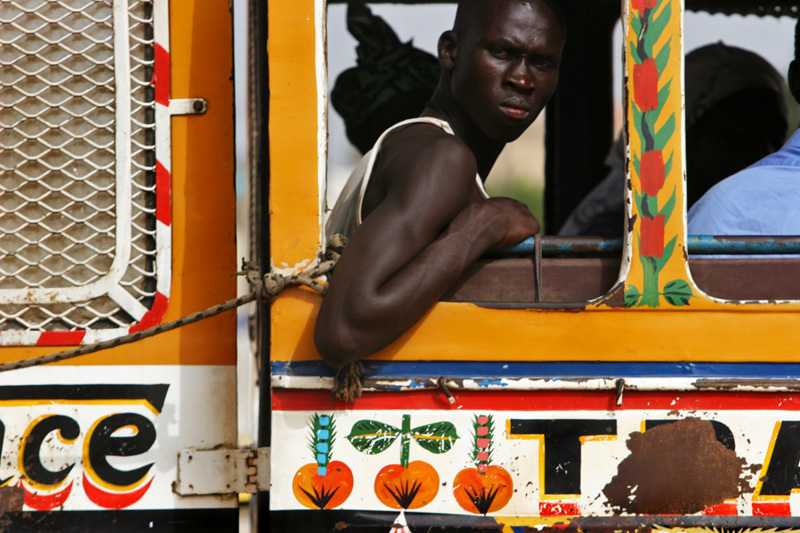 These iconic buses of Senegal are no longer manufactured by Renault and are slowly being replaced by newer ones.